Do you want to continue using your existing bath, but need a little assistance in getting in and out? Then our range of bath lifts will help. The bath lifts shown here have been carefully selected from the market for you. We believe that having a full depth soak in the bath is one of life’s pleasures, so all of these lifts will lower you right to the bottom of your bath. Models include battery powered seats to safely lower and rise, plus a portable bathing seat that inflates to lift and deflates to lower – ideal for taking with you when you visit your family, or go on holiday. 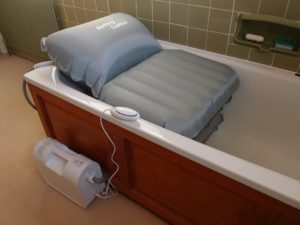 Bath Buddy inflatable bath lift – for full depth bathing! 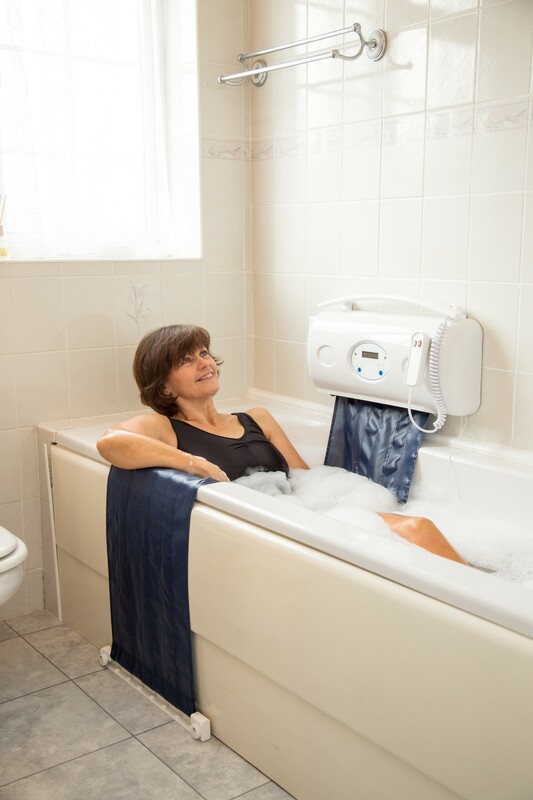 The Bath Buddy inflatable bath lift enables you to continue enjoying your existing bath. No installation required! The motor remains outside the bathroom and simply plugs into the nearest available electric socket. Easy to take with you when visiting family or going on holiday.